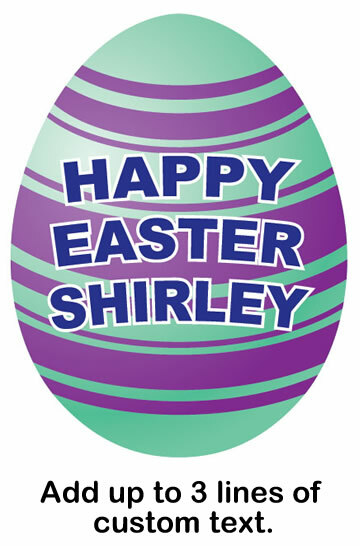 Easter Egg 2 Cardboard Cutout Standup Prop - Dino Rentos Studios, INC. 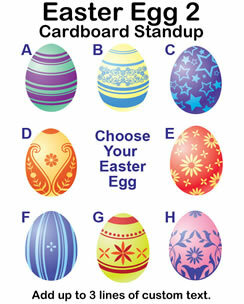 This Easter Egg 2 Cardboard Cutout Standup Prop is great for your Easter production or display! Choose from 8 different styles. Price is for one egg of your choice & option of adding up to 3 lines of custom text-- select below.